(noun) A cere is the soft, fleshy, typically bare patch at the base of the upper mandible of the bill of some bird species, particularly many birds of prey, owls, doves, skuas, turkeys, curassows, and parrots. There is great variation in the size, shape, and color of the cere, but it can be a useful trait for bird identification and checking the health of a bird. The purpose of the cere is largely unknown, but it houses the bird’s nares (nostrils) and it is believed to play a role either in respiration or the sense of smell. It may amplify a bird's senses, or else may be a filter to keep debris from entering a bird's airways. Further detailed study of the ceres of different bird species is needed to definitively determine what the structure does and how it operates, as well as how birds without a cere perform those same functions. The texture, size, and color of the cere can vary depending on the species. In some cases, the cere will indicate age or even gender, as with the different colored ceres between male and female budgerigars. Waxy and swollen appearances are common for many ceres, and in fact the word cere derives from the Latin cera, meaning wax. Despite the name, however, the cere does not create or exude wax. Any type of visible discharge such as blood, pus, mucus, or other fluids from the cere is a sign of illness or injury. It is easy to mistake the cere for different parts of a bird's bill, but understanding the differences between different structures can help birders better understand the cere. 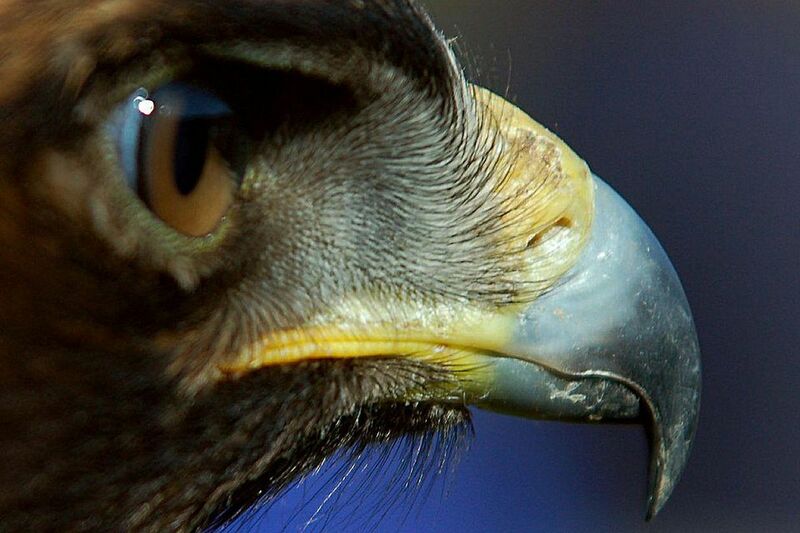 Nares: These are the nostrils, the actual nasal openings a bird can breathe through. Nares may be surrounded by the cere, but they are separate, distinct features. Lores: The lores are the patch of feathers or skin directly behind a bird's bill and in front of the eyes. The cere does not extend as far back as a bird's lores, but a swollen or prominent cere may seem to be part of the lores, especially if their colors are similar. Rictal Bristles: These are prominent, stiff feathers at the base of a bird's bill. These feathers may extend over a bird's cere, but they are not part of the cere itself, which is not feathered. Basal Knob: This is a different feature, a swollen, prominent bump at the base of a bird's bill. Like the cere, much of the basal knob's function is not well understood, but they are different, unrelated structures. If a bird has a clearly visible cere, it can be a useful field mark. Not all birds have distinct ceres, therefore a visible cere can help narrow down a bird's species quickly. The color, size, shape, and texture can all also be great clues to the specific bird showing a cere, particularly if the cere contrasts well with the bill or facial plumage coloration. Furthermore, cere characteristics can help identify bird genders, note juvenile birds, or even denote subspecies in some circumstances. In some birds, the cere changes color during the breeding season, indicating whether a bird is ready to mate or may be less desirable a partner. Examining the cere can also be helpful to note a bird's physical condition and general health. Some species, such as many parrots and doves, have a naturally swollen, puffy, or bulbous cere. If the skin is overly swollen or appears discolored at the edges, however, it can be a sign of infection or several different wild bird diseases. A crusty or scaly quality to the skin is another indication of poor health, as is any mucous discharge. A bloody discharge, on the other hand, is a likely sign of severe injuries, such as a head impact from a window strike or similar collision. If such injuries are noticed, it may be necessary to contact a licensed bird rehabilitator for assistance to give the bird proper care for a successful recovery. The cere is not a prominent part of bill anatomy for all birds, but where it is present, it can offer vital clues about the species and health of the bird, making it a valuable trait for birders to be familiar with.